Looking to make a new vehicle lease or purchase but concerned about your credit? Our financial experts here at Hendrick Toyota Concord can find the perfect setup for you. Come visit us at 7670 Bruton Smith Blvd, Concord, NC 28027 so we get figure out your finance options as soon as possible. We know it might be a little intimidating to open up your books and budget to determine your credit score. We understand your hesitation, but we promise that we don’t judge anyone based on their past financial history. Every loan we offer is specifically designed for your unique situation, and we make it easy to get started with our online free credit application. Once you complete the application, we will get to work formulating your finance package. Once your credit is reviewed and financing is approved, we invite you to take advantage of months if not years of zero or low APR after your new purchase. One of the most common questions during a new car purchase is how much you will be expected to pay each month. We feature a convenient payment calculator that is based on your expected loan amount and time of loan or lease. You will receive a quick estimate of what you will be expected to pay so you can make it work for your budget. We also offer financing specials on all of your favorite Toyota models! Take a look at our offers to choose the one that aligns with your specific needs. Buying a new vehicle is a big step, and the Hendrick Toyota Concord Finance Department will do everything we can to make you feel at ease with your purchase. Give us a call at 855-996-5481 to let us build an auto loan for you! 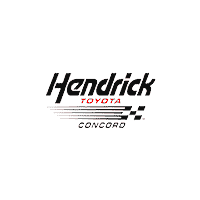 The Hendrick Toyota Concord finance department is focused on ensuring your experience with our dealership exceeds your highest expectations. Our friendly finance managers work with people from all over including Concord, Charlotte, and Kannapolis to ensure our customers get the right finance program at the most competitive rates. We strive to work with each customer to ensure their satisfaction. We have financed customers from Harrisburg to Huntersville. Whether you are right down the road or an hour away from Concord you can use our quick pre-approval form to qualify for one of our finance programs. Additionally, we provide you with a payment calculator to estimate your buying power and monthly payments. Great "I never miss a payment!" The Hendrick Toyota Concord loan process can help you find the best interest rate for your next vehicle purchase. We have hundreds of new and used Toyota vehicles for immediate delivery and access to some of the lowest interest rates in the business. Once the application is completed, the Hendrick Toyota Concord finance team will put together a loan package that is tailored specifically for you.